Benches have a lot of applications, and when you choose to install one that is completely customized, the possibilities are truly endless. If you have a swatch of awkward or wasted space in your home, the right bench can put it to good use. Take this recent project for example. 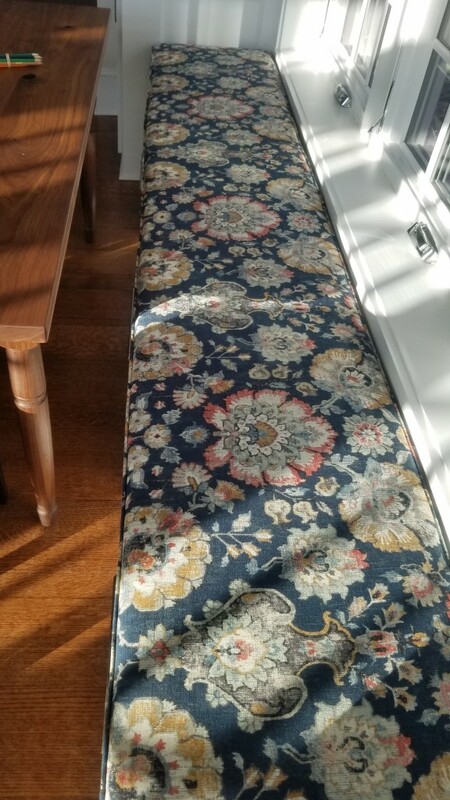 The pattern on this fabric complements the space beautifully. This bench adds a perfect touch of color to all its white surroundings. We hope this family derives much enjoyment from their new piece in this cozy nook, a sunny, quiet place to sit and draw or relax with a cup of tea.